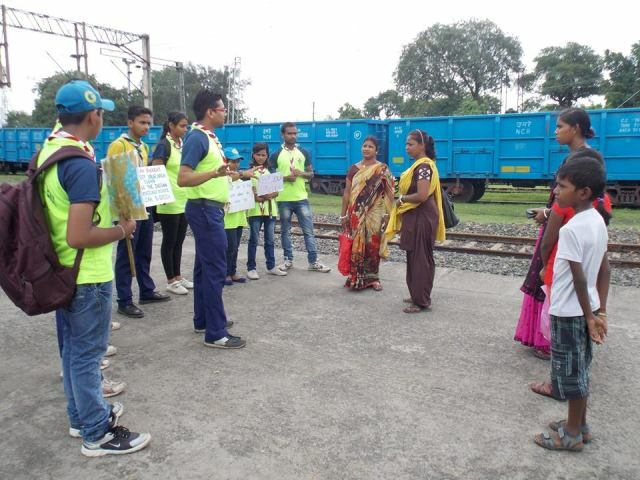 Door to Door Awareness Campaigns against “Dengue” was organised by The Bharat Scouts & Guides, Asansol District, Eastern Railway by50 Rovers. 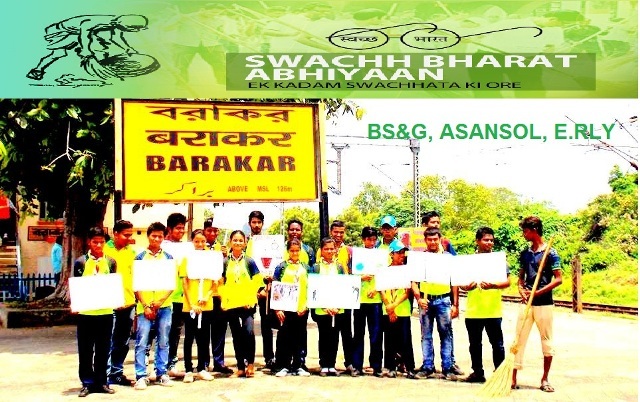 Various Railway Colonies of Asansol were covered. The service of awareness will continue from 12-08-16 to 16-08-16 in presence of Dr. K.L.Das, Vice President & CMS/ASN under the leadership of Sri Syed Jahangir Hobib, D.O.C(S) Asansol. HOSPITAL GROUP (ROVERS UNIT), ASANSOL. 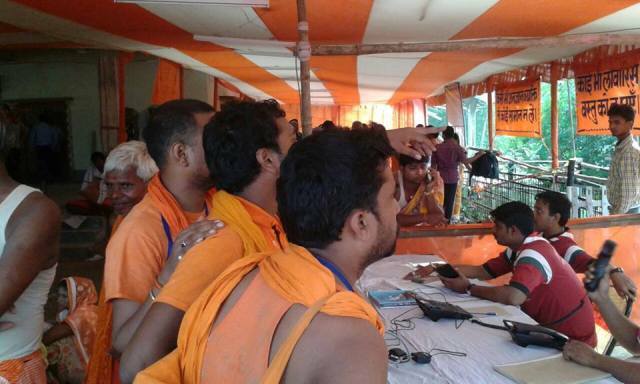 The Baidyanathdham Temple is at Jharkhand, the nearest approach is from Jasidih Rly. Station (Delhi– Howrah main line) is considered a holy temple in the country, among one of the 12 Jotirlingas. 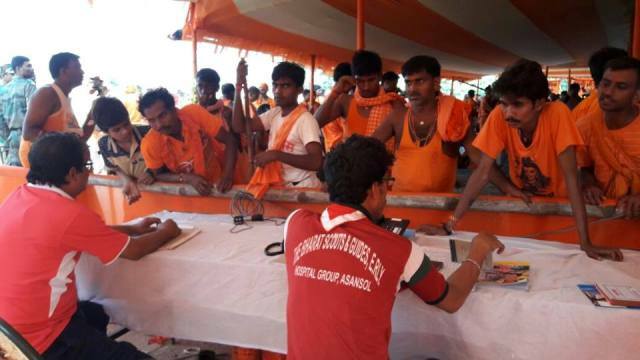 So devotees in lakhs comes from all over India by different trains and on foot from neighbouring Districts & States with Ganga water to pour on to lord Shiva’s head, during this rainy (Shravan) season which is declared by the Jharkhand administration as “Shravani mela” every year, this year it started from 19th July will complete on 20th August,2016. 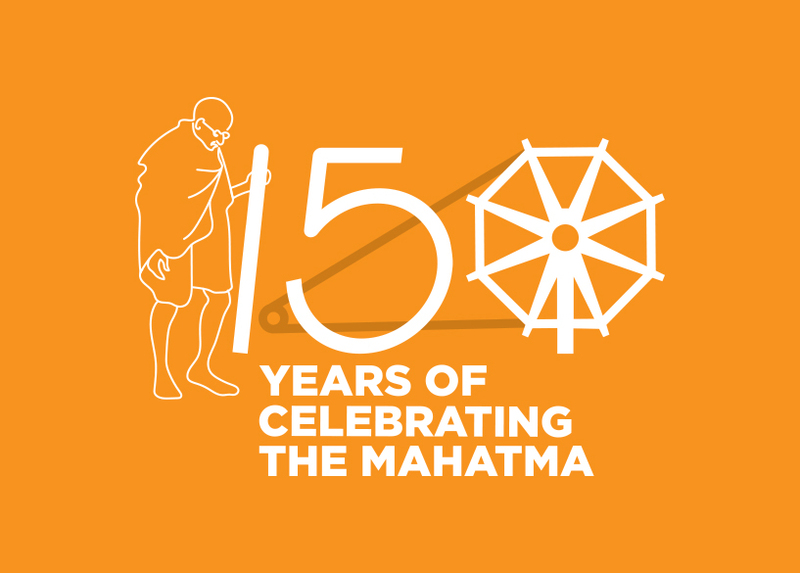 To maintain and manage the huge crowd on the railway premises and surroundings during this occasion, the services of the Rovers are badly needed by the Rly. Administration. 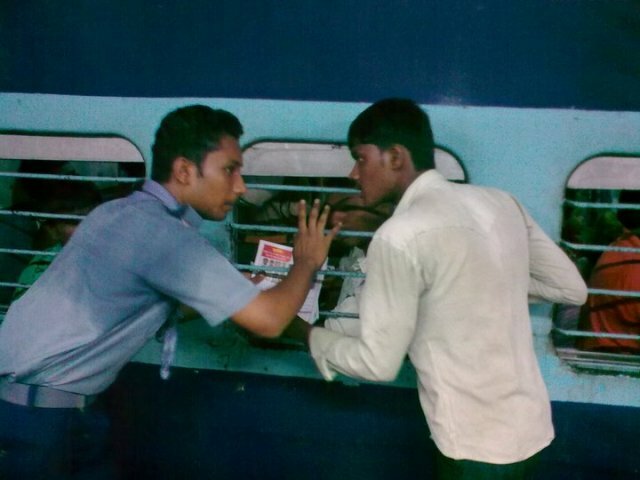 About 13 Rovers are rending their voluntary services at Jasidih railway station, continuously for four days. The services started from 28th July to 31st July 2016. 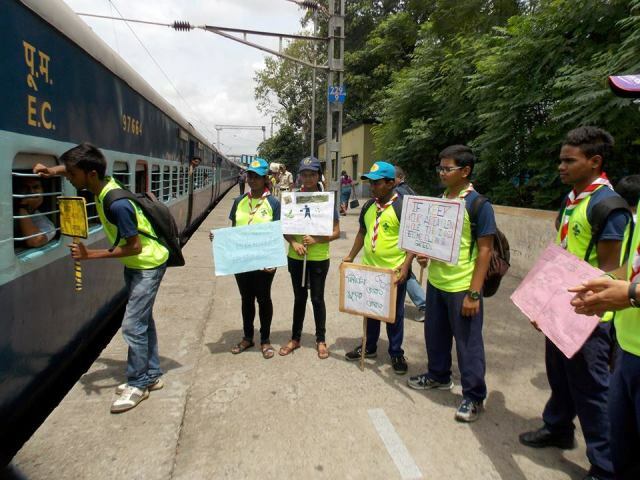 1.Cater to general information of incoming & outgoing train movements. 2. Announcing Lost & Found of the family members of the pilgrims if any. 3. 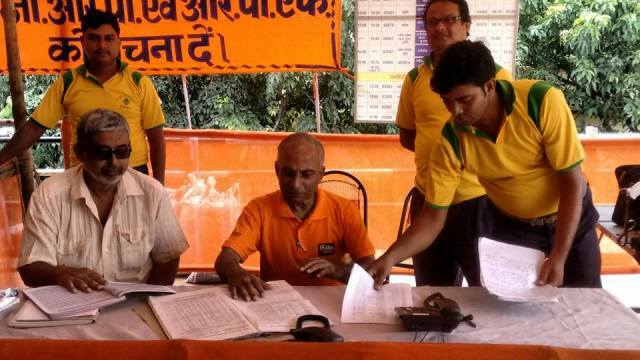 Managing crowd in the railway ticket booking counters and entry & exit points. 4. 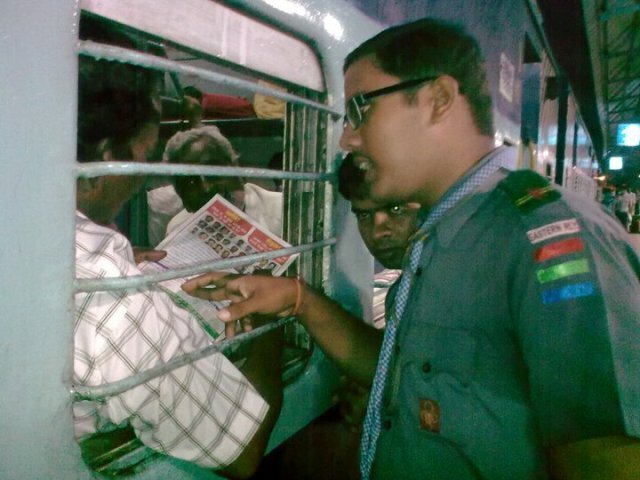 Convincing the railway commuters to maintain cleanliness in the area. 5. Care is taken to see that drinking water is not wasted and misused. 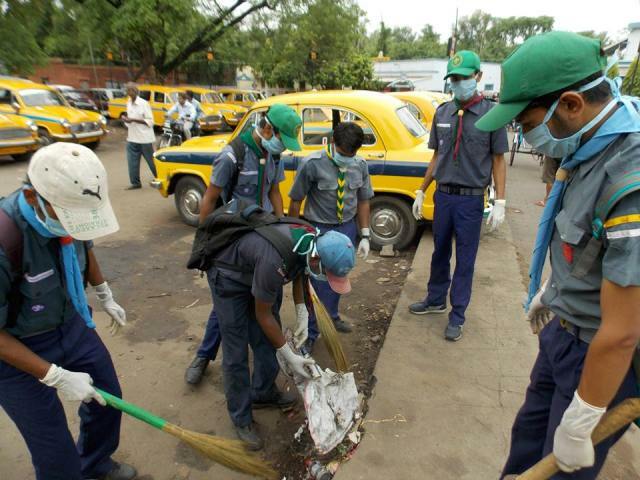 These services were highly praised and appreciated by the Public, Civil Authorities & Railway administration. 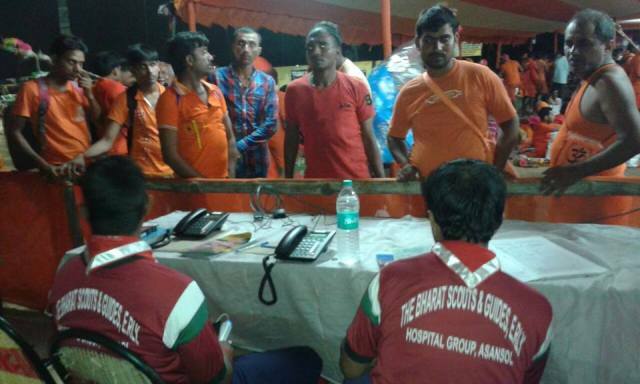 The entire services were controlled & managed under the leadership of Syed Zafar Imran(R.S.L) Hospital Group with the assistance of Sri Ranadip Das & Sandeep Kumar Sharma. 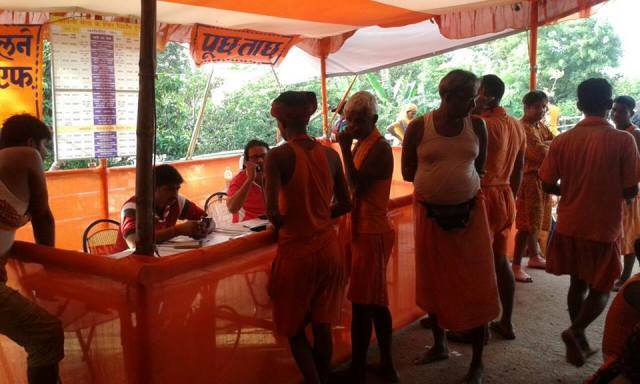 Shrawani Mela Services At Jasidih Railway Station From 19.07.2016 to 20.08.2016 by our 40 Rovers and Leaders of The Bharat Scouts Guides Asansol District. 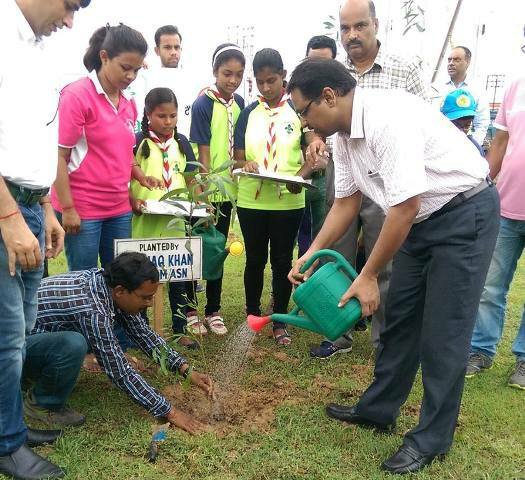 Mass Tree Plantation Programme at Domohani Railway Colony, Asansol on 16-07-2016 by B.S.&G., Asansol District, Eastern Railway. 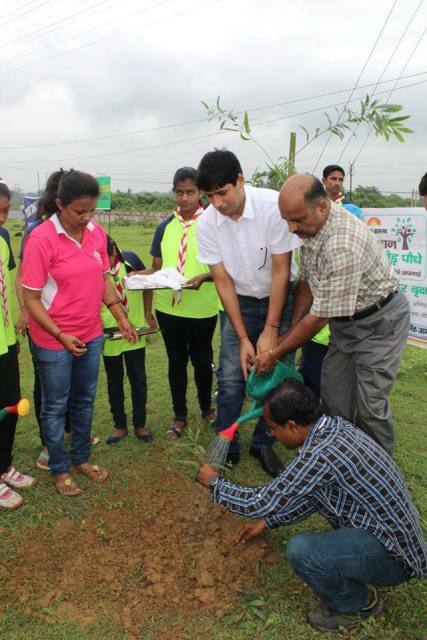 Plantation was done by Shri Ishaq Khan, DCC & ADRM/Asansol. 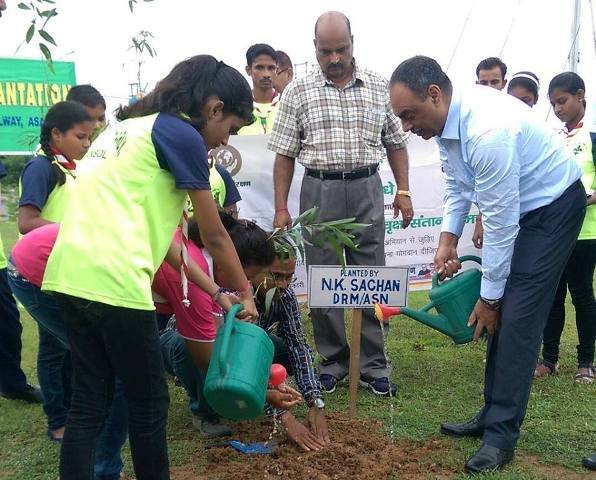 Plantation was done by Shri M. K. Meena, DC(S) & Sr.DEN(C)/Asansol. 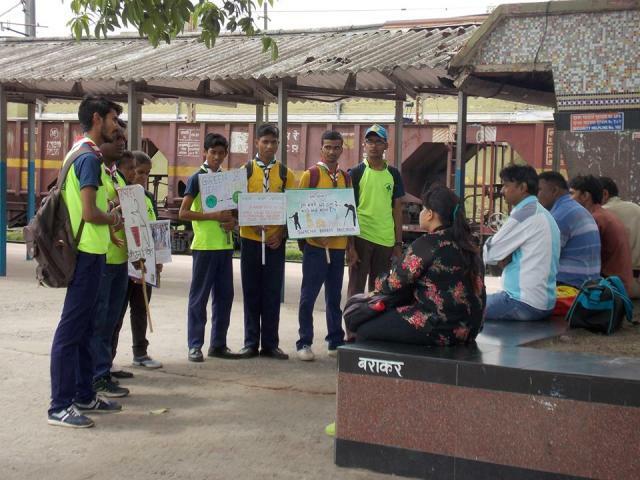 Swachh Bharat Abhiyan at Raniganj Railway Colony. 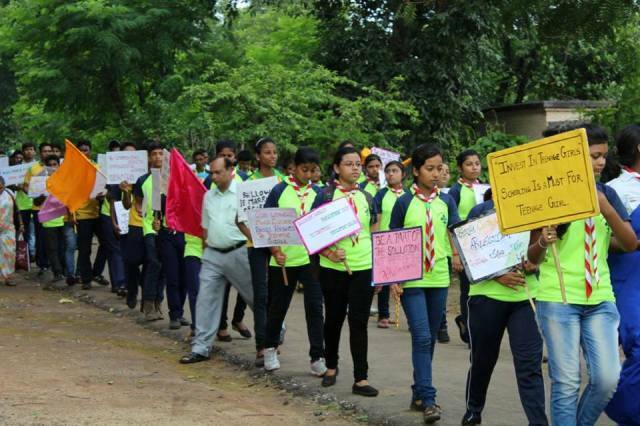 World Population Day,11 July, 2016, Observed By The Bharat Scouts & Guides,Eastern Railway, Asansol, in the Presence of CMS & V.P/Asansol District. 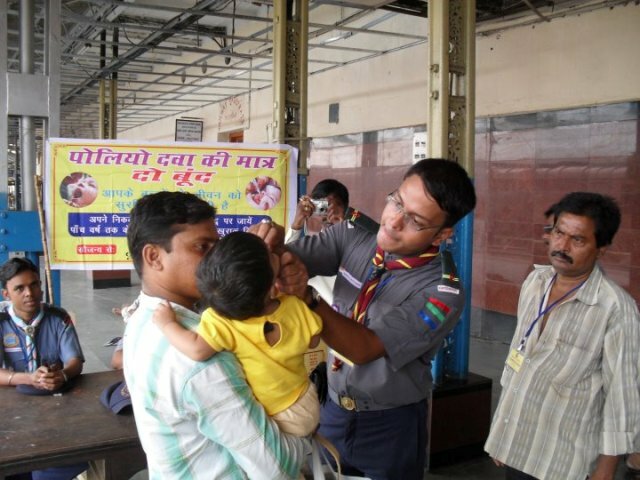 Organized by The Bharat Scouts & Guides, Hospital Group, Asansol District Eastern Railway. 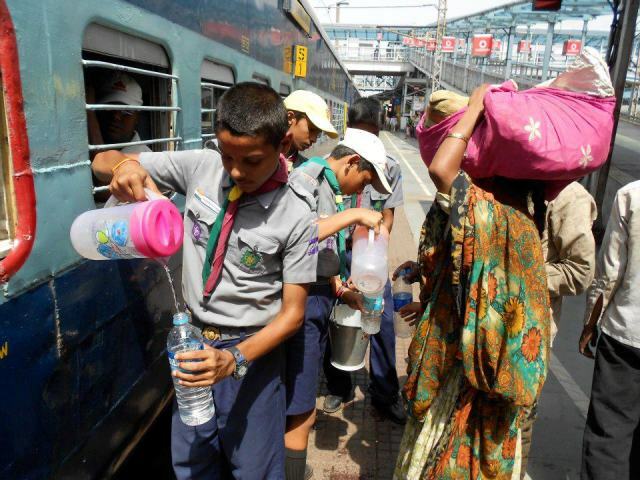 Drinking Water Distribution Service At Asansol Station. 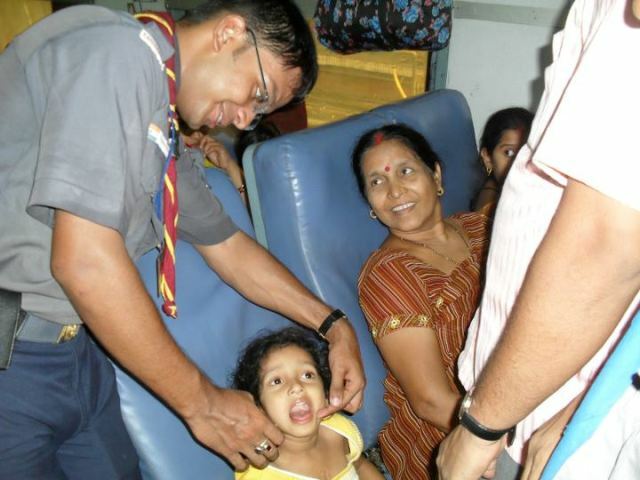 Organised by The Bharat Scouts & Guides, Hospital Group, Asansol District, Eastern Railway. 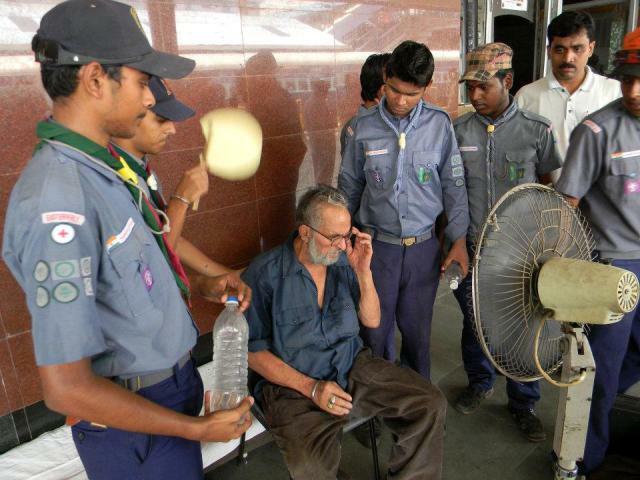 Service During Hot Summer Day At Asansol Station. 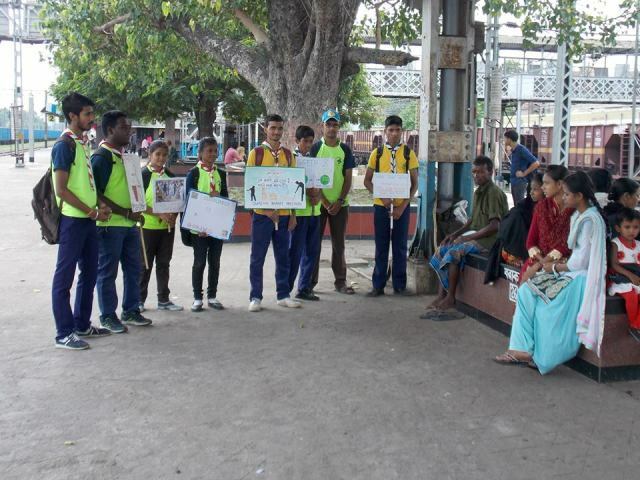 Anti-Drug Awareness Campaign, At Asansol Station. 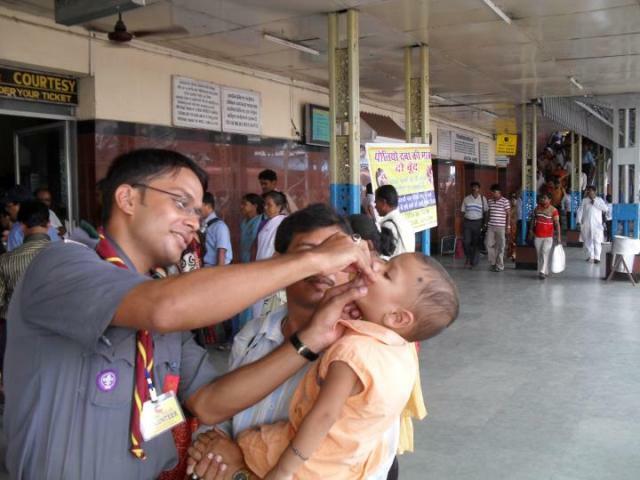 Pulse polio immunization programme At Asansol Station. Nukkad Natak on Vigilance awareness Week at DRM office, Asansol. 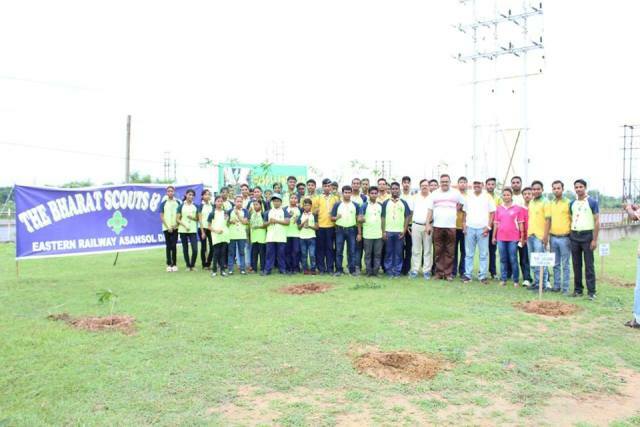 44TH CUB-BULBUL UTSAV – 2015. 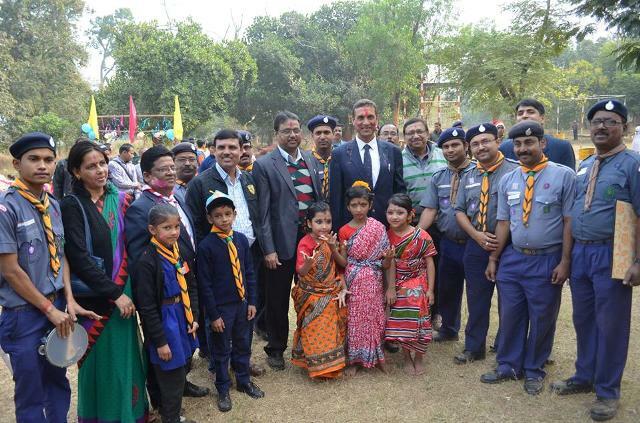 ADRM & DCC,Asansol, Delivering speech - 44TH CUB-BULBUL UTSAV – 2015. 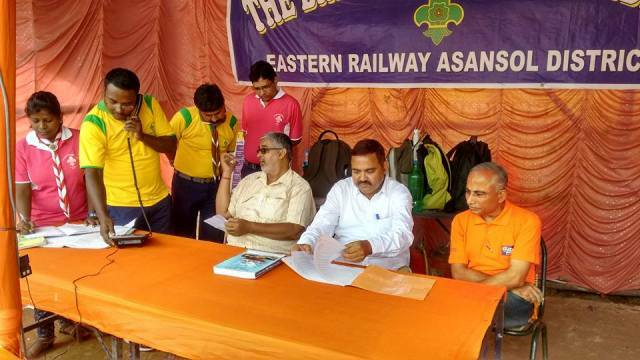 Organised by The Bharat Scouts & Guides Eastern Railway, Asansol District. 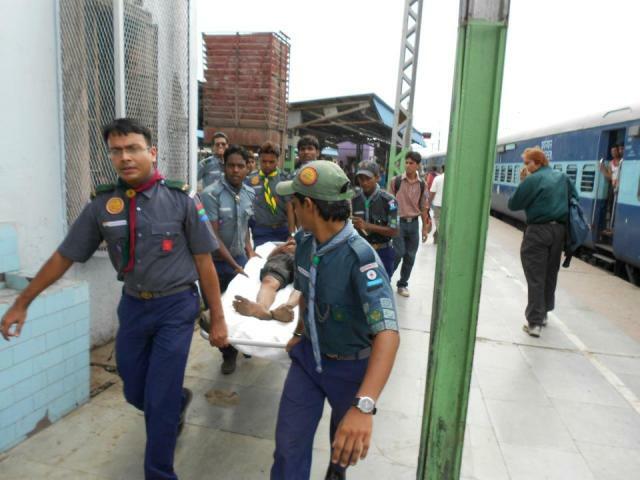 The Bharat Scouts & Guides Asansol District, Eastern Railway.